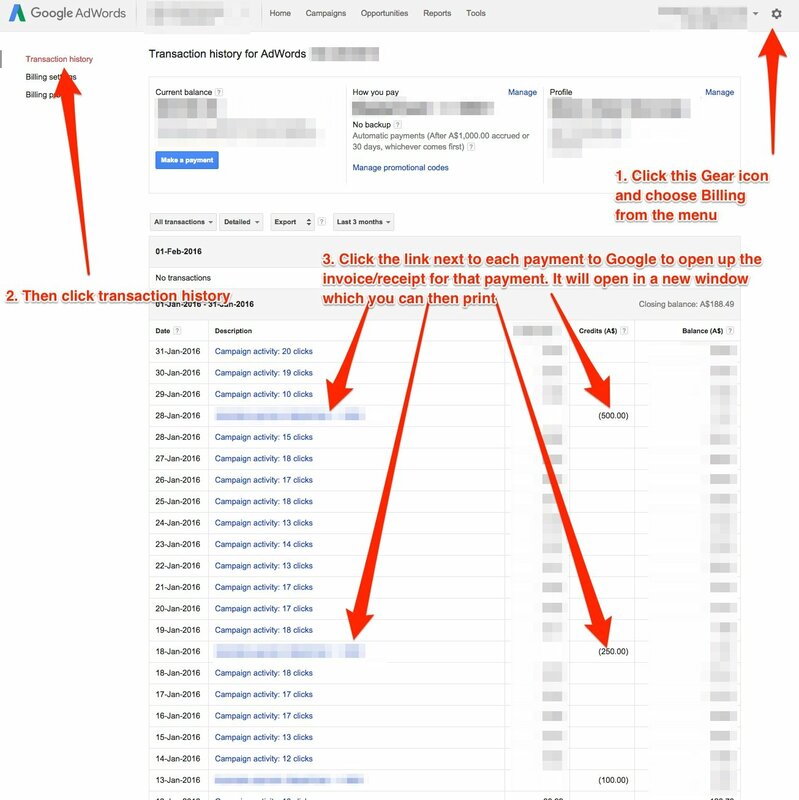 This is a short how-to article on accessing your Google Adwords generated invoices. Google issue invoices inside the Adwords console directly. Unfortunately they do not have a mechanism that automatically emails invoices to you. 2. Once logged in click the gear icon in the top right hand corner and choose Billing and then on the next screen click Transaction History on the left. Google typically issue invoices at the end of each month or when your account reaches a $1000 balance so you may see several transactions each month.